Onassis at BlackTie is a device-agnostic, modern responsive design that is customizable. It's designed to work well on desktops, laptops, tablets and mobile phones. 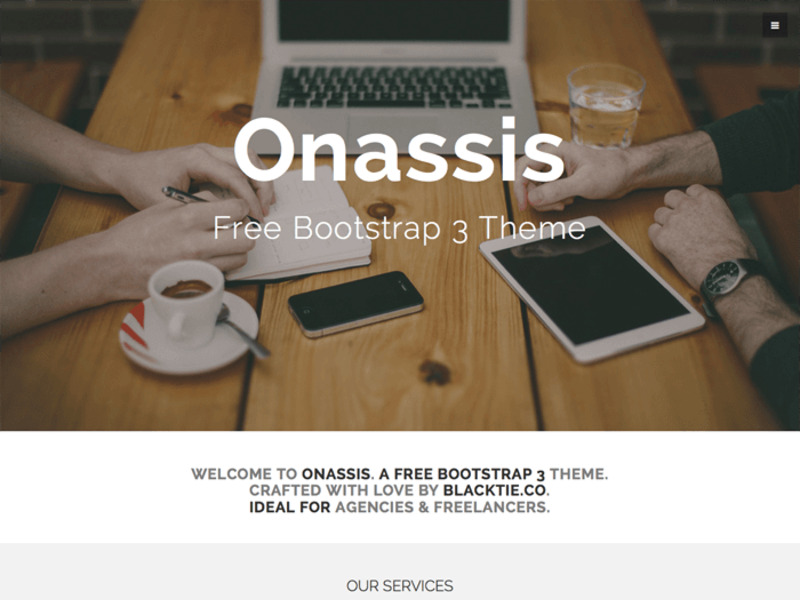 Onassis is another simple, clean template from BlackTie. This is a one page theme ideal for agencies or freelancers. Beautifully crafted and with notable features like an off-canvas menu..